Konami have released an update for the iPhone version of PES 2011. To download the update, go to the updates tab in the App Store and click download when prompted. Winter transfers and updated squads - start hunting for goals with your favourite player! 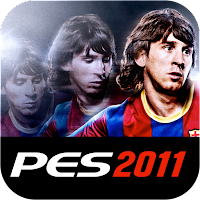 Achievements and leaderboards - Compete with your friends and prove that you are the best PES player! A big thanks to Andy at PESKingsBlog for giving us the heads up via his Twitter account.